Joe’s Bar is hosting a ‘Cajun Shrimp Boil’ this Saturday, Sept 15th starting at 5:30 pm to benefit the San Lorenzo Valley Museum and it programs. 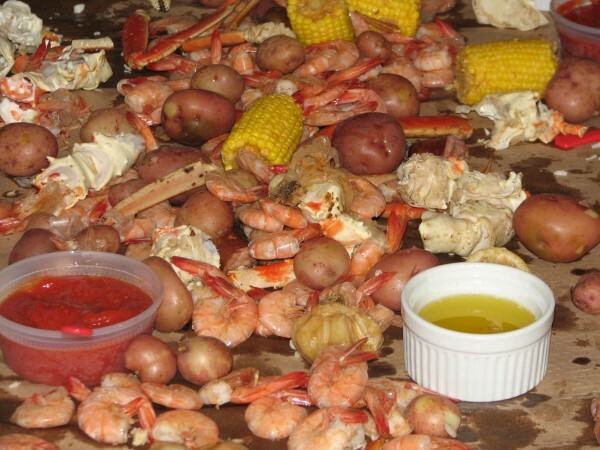 Shrimp boil master Erik Rozite will be overseeing this delicious cajun creation tickets are only $15.00. After dinner Acoustic Shadows will entertain guests and a raffle will be held with donations from the SLV Museum and Joe’s Bar, including a large framed print of the historic Boulder Creek Mural on the side of BC Hardware.